The 45s made a rare, yet loud appearance last night. 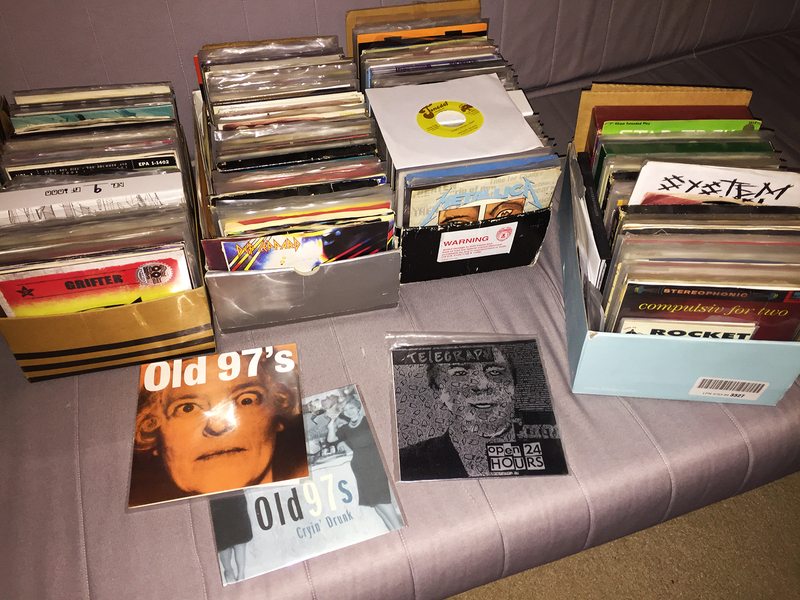 With heroes generally living within the O to T range, it was fleeting fun to reremember what 7″ records we’d accumulated over the years. The great thing about not having a good short term memory is that you get to rediscover old things from time to time. Hurray for my previous, record collecting self! Nicely done on that White Riot 45.